Sometimes, you need to split files into parts and join parts to make original file. So, there is nice free software for doing this purpose called HJ-Split. Therefore, you can use this software for absolutely free. when to download films from internet, mostly using file sharing website, Original file is available in many parts with extension .001 (avi.001) , .002 and so on. 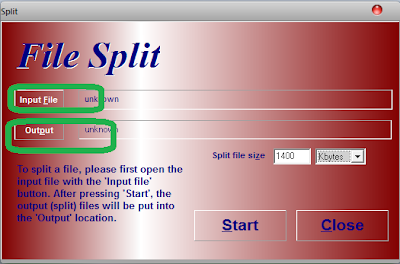 When you want to join small part together to build original file, you can run this Hj-Split and Click on Join button then it open a window so that you can give input file as the .001 part (Do not give the other parts like .002, .003 etc). Also you can select the location for the output file as you wish. Using compare button you can compare two files while checksum button can be used for get checksum value of a file.